The first Elder Scrolls games I played was Morrowind in 2002. At the time I hadn’t hear about the Elder Scrolls series of games, but I was interested in finding an RPG game that wasn’t linear in nature. I didn’t like being forced to go from one location to another or from one quest to another. I wanted an RPG game that allowed me to do what I wanted. I remember searching for such a game at an online store. After reading reviews for several RPG games (games that I can’t remember), I was overjoyed when I read the user reviews for Morrowind. I finally found an RPG game that I had been looking for. I played Morrowind for countless hours, installed many mods, installed all the expansion packs, and created various characters, each behaving a specific way. Morrowind was probably the game that I played the most in my life. I followed up Morrowind by buying Oblivion and playing that along with mods and the expansion packs. Of course, I also bought Skyrim when it first came out. The one thing that I also enjoyed was reading the online journals of fans that have enjoyed the Elder Scrolls games as much as I have. I enjoy reading how others have created a character and created a personality and life for their character. Out of all the journals, I find that the best ones don’t usually stick to the storyline 100% of the time. Some of the best change the story of the game to add a unique experience to the game. Whether it is an alternate start for their character, or changing how quests are played out, the journals that add something different to the storyline are usually some of the best journals that I have read. With my journals, I wanted to change the storyline a bit, but still maintain many of the quests in the game. For example, I in A Province Divided, the main character Avingard doesn’t start as a prisoner on his way to be beheaded. 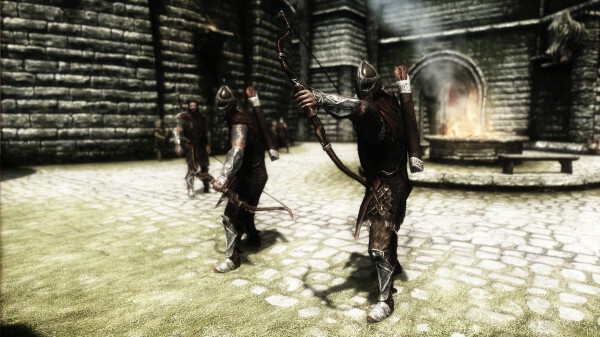 There is no dragon attack to start the story, or escape from Helgen. Instead I wanted to provide a different start to my character’s adventure in Skyrim – a Breton arriving to Skyrim from Hammerfell. I also wanted to provide a simple back story for my character to explain how and why he came to Skyrim, especially during a Civil War. Since the Elder Scrolls is non-linear, I can have my character advance through a faction without really playing the main quest. There are times where certain missions from the main story need to be completed before continuing within a faction quest line, but in such circumstances I would just complete only the necessary main story quests. When telling the story of my character, I may leave out the extra main story missions to avoid breaking the continuity of my character’s story. I may later revisit the quests that I completed earlier by adding those quests into another story. Creating the story about my character’s travel within Skyrim is the best part about writing a Skyrim journal. 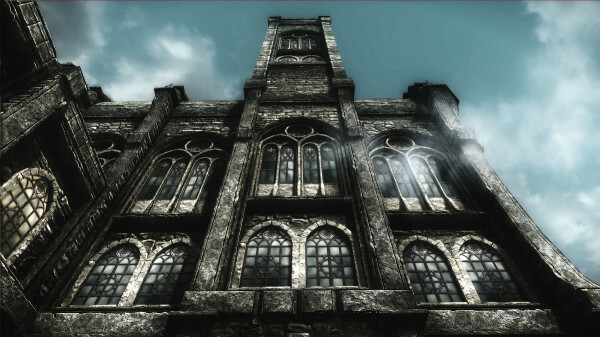 I have complete freedom over how I present the story, even if it does mean doing missions in a different order than what is written, or how it is played, in Skyrim. When creating a journal for an Elder Scrolls game, you should focus more on what you want to do with your character, how you want your character to act or react, where you want your character to go, and how you want your character to interact with the world. This means you don’t need to follow what has been created in the game, but more about what has been created in your head. and tagged Journal, Roleplaying, Skyrim.